Bitcoin is a type of digital currency. It is also a payment system. Bitcoin was created in 2009 by someone named Satoshi Nakamoto. To this date, no one knows who Satoshi is. There are many theories (Elon Musk, a supercomputer in China, etc. ), but no one has officially stepped forward to claim the honor. As part of the creation, s/he also created the first blockchain database. Here's a link to the white paper (Bitcoin: A Peer-to-Peer Electronic Cash System) which explains how bitcoin works. What problem did Satoshi solve in the white paper? S/He made it possible for a technology to be the intermediary by coming up with a logic to obtain consensus by all parties. In this way, no "trust" broker like a bank or lawyer is needed. The number of Bitcoin available in the market is limited to approximately 21 million. There are approximately 16.7 million bitcoin on the market today (you can see how many bitcoin are currently on the market by clicking here). As of 11/26/2017, bitcoin is worth a little over $9,000. You can check on the latest bitcoin price here. WordPress.com, Overstock.com, Subway, Microsoft, Reddit,Virgin Galactic, OkCupid, Namecheap, CheapAir.com, Expedia.com, Gyft, Newegg.com, and Whole Foods. In addition to being able to send an unlimited amount of money to anyone with a cell phone, Bitcoin transactions are also anonymous. As President Obama stated, if the govt. can’t crack encryption, then people are walking around "with a Swiss bank account in their pocket." The implications of this last point are very compelling. Bitcoin can't be manipulated, controlled or shut down because it's completely decentralized. If government could shut it down they would have done so already. If there were a central bank of Bitcoin it would be Coinbase. You can buy Bitcoin through Coinbase, but your payment options are limited. You can also buy Bitcoin through a peer-to-peer network like Craiglist. The Craigslist of the digital currency world is LocalBitcoins. You can purchase Bitcoin with over 300 different payment options on LocalBitcoins, including Paypal, gift cards, credit cards or Amazon. Click here for a list of payment options on LocalBitcoins. Click here for a comparison of LocalBitcoins and Coinbase. In addition to buying Bitcoin, you can also obtain it by making it. This is what people refer to as bitcoin "mining". The Internet is full of videos showing you how to set up your mining "rig". This video is just one example. To trade bitcoin you need to sign up with a service that will provide the volume you need. These services are referred to as exchanges. My favorite trading platform is Binance. This isn't the largest exchange, but they have the best opportunities for traders. The best site for looking up market information about market size and volume is CoinMarketcap. I'll be providing more information about trading in future posts. I recommend two main ways to buy bitcoin: Coinbase and LocalBitcoin. Coinbase offers the cheapest methods, but you don't have as many payment methods to choose from as you do with LocalBitcoins. Coinbase is a business, so you're buying coins from a business. It is also centralized. LocalBitcoins, on the other hand, is peer-to-peer, like Craigslist and decentralized. In a previous post I reviewed how to buy bitcoin using LocalBitcoins. This post will concentrate on buying bitcoin using Coinbase. Coinbase supports bank transfers, credit cards, debit cards and bank wires. If you want to buy Bitcoin with anything else you should go with LocalBitcoins. Each method of deposit on Coinbase is relatively easy and straightforward. Then you will be prompted with a login screen to verify your bank account. This is a one-time verification step. Once your bank account has been verified, Coinbase claims the logs are deleted. If you're uncomfortable sharing this information you can use the deposit verification process that generally takes about 2-3 days. If you use a credit or debit card you can add these as payment methods to your account by visiting the payment methods page.You can also add funds in a similar way with a wire transfer. While you can't use Paypal to buy or deposit funds, you can use it to sell Bitcoin or withdraw funds. Go to https://www.coinbase.com/trade, select 'Sell', then select 'PayPal account' as the Payout Method. This women is slightly insane, which means that I like her. That said, she also thinks technology (primarily in the form of cell phones) has turned us all into children. I understand -- the image of a teenager and an iPhone does not connote human progress, but this is the illusion. At the heart of all her fears is an argument against "de-materialization" -- this is an agenda by the government to move everyone away from using money. The easier it is for you to spend your labor, the less you think about it. This is a valid concern, but the argument is specious. If bitcoin exits the room, the issue of "de-materialization" does not follow. Credit cards, debit cards and electronic wallets like Paypal are still present. "I'm used to privacy and cash", she proclaims proudly. "Using bitcoin is akin to being microchipped." This is ironic because privacy, autonomy, decentralization and low transaction fees are the main reasons why people like bitcoin. About mid-way into her interview it becomes clear that she doesn't really know what bitcoin is. Her argument is old, stale. It sounds ignorant. What a brutal word, but it fits here -- I promise. Why Am I Highlighting This Video? I wanted to highlight this to show how someone with logic and sense can have no clue about bitcoin. Even the die-hard libertarian with disdain for the federal reserve still sees bitcoin as the devil. It's always good to understand how others perceive an asset. In this case, I see the misperceptions as opportunity. If this woman knew the truth about bitcoin, she would be investing everything in it. She would see that the market, the free-market she so ardently believes in, has created a tool that the government cannot manipulate. Bitcoin is an automation tool that gives back privacy. 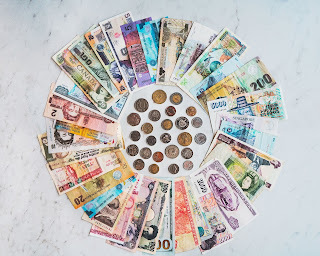 A tool that provides an alternative to the dollar and gold. A tool that connects all of us together, with no intermediary, no clearinghouse. 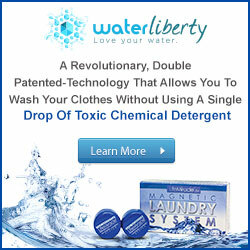 We now have the ability to send an unlimited amount of money instantaneously across the globe for free. Hi All, This is a post I just submitted to a new platform I'm trying out called SteemIt. Why haven't the world's central banks gone after bitcoin? They can't. They've tried, but a sovereign nation can't dictate to bitcoin -- bitcoin is a post-nation state asset and comes with its own monetary system. That said, central banks can try to work with bitcoin. There is such a thing already, of course. It’s what happens whenever central banks buy assets by creating bank reserves. It’s all just digital entries on a spreadsheet. Creating central bank “digital currency” simply means offering existing digital account services to a wider group of entities. There is one big difference, reserves retain value based on the value of paper and monetary/fiscal policy; bitcoin retains value based on energy prices and demand. The more bitcoin are made, the harder they are to make and mining operations are popping up everywhere. Today, I will lay out those objectives as we see them at the Federal Reserve, and focus in particular on their application in three specific areas where technological innovation is driving change: creating a real-time retail payments system, using distributed ledger technology to develop new clearing and settlement services, and the issuance of digital currencies by central banks. Using blockchain technology--which employs a form of DLT--and an open architecture, Bitcoin allows for the transfer of value (bitcoins) between participants connected to its ecosystem without reliance on banks or other trusted intermediaries. This feature has led some to predict that DLT will in the long run render parts of the banking and payments system obsolete, as the intermediation of funds through the banking system will become unnecessary. Two points: 1) the fed is aware of the potential threat, but 2) only to the extent that it may provide an alternative payment system. In truth, bitcoin is more than a system of payments, it is a system of value storage. Until we reach 21 million bitcoin, it is also a source of value creation. In this way, it will render more than parts of the banking system obsolete. We may see a complete collapse. Which bodies of law apply to the particular firms, assets, and activities will determine the associated rights and responsibilities when transfers are made, cleared, and settled. For example, whether and how banking, payments, securities, or commodities laws apply in a given context are likely to be important in designing systems and services and understanding their properties. We will need a thorough analysis of how DLT fits into current legal frameworks and what gaps need to be filled by contractual agreements or new laws and regulations. A robust legal basis that provides certainty across relevant jurisdictions is essential for building strong governance, risk management, and operations. A digital currency would also be a prime target as a potential vehicle for global criminal activities, including money laundering. Central banks could face difficult trade-offs between strengthening security and enabling illegal activity. Advanced cryptography could reduce vulnerability to cyber attacks but make it easier to hide illegal activity. To the extent we relax strong cryptography to make it easier for authorities to monitor illegal activity, we could simultaneously weaken security. 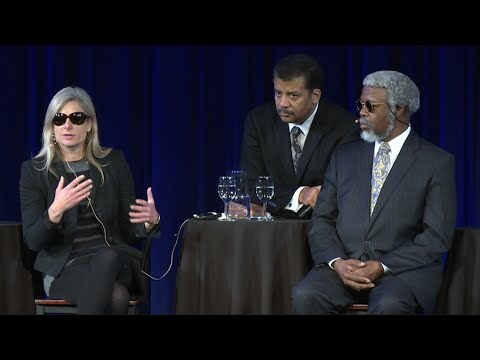 Still, this is the Fed's security. This is the Fed's privacy. The Fed's needs aren't always aligned with the needs of the people. Perhaps the reason bitcoin is so popular is because it is naturally aligned with the people. This is the world's first real artificial intelligence challenge. Bitcoin can take over the nation state without battle or loss of life. It offers itself to humanity as a system of payments and storage with no central authority. It has only two demands (for now) -- more computer hardware and energy. Bitcoin allows users to access the gods of money without going through the dollar's Vatican, also known as the Federal Reserve. Over the next 10 years we will bear witness to a remarkable digital revolution; it will be a war between the nation-state and technology. They are fighting for control over humanity. It's hard to say what the Fed's next move against bitcoin will be, but one thing is certain, if the Fed could do anything about the rise of bitcoin, it would have done so already. Funny how this album almost looks like a coin. 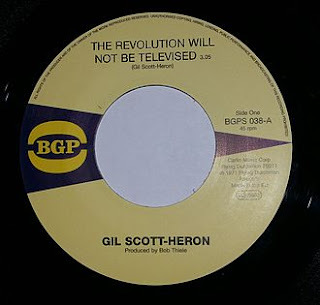 The name of the album is "The Revolution Will Not Be Televised", which is a poem and song by Gil Scott-Heron. In some ways, this is exactly what's going on in Venezuela. Bitcoin is enabling countries like Venezuela, which is in the midst of currency collapse, to sidestep the devastating effects of inflation with an alternative. Adding fuel to the fire, that alternative can be created with the right hardware and energy. The creation of bitcoin with computer hardware and energy is referred to as mining. Countries with the lowest prices in energy production are the most profitable in making bitcoin. This is why China dominated in the bitcoin mining sector for so long (a point Bobby Lee made recently at the 2020Money Conference in Las Vegas). Chinese bitcoin miners were stealing energy. Now that the government is cracking down on that, mining has become more expensive. Mining is gaining in popularity in Venezuela due to a combination of hyperinflation and subsidized energy prices. In other words, Venezuela is one of the most profitable places to mine bitcoin in the world. In some ways, what's going on in Venezuela is a digital currency revolution. What does that mean -- a digital currency revolution? In monetary terms, it means Venezuela is dying as a sovereign state. The new king is Bitcoin and its offspring. It appears the revolution may not be televised, but it will certainly be backed with digital currency. At the heart of the issue is whether or not bitcoin is a system of storage or payments. It is a constant debate, but it deflects from the truth which is both. In addition, bitcoin provides transparency into the central bank and guards against government intervention or manipulation. For example, the global inter-bank payment system known as SWIFT threatened Russia, China and North Korea with removal. Is it any wonder that these nations are looking for alternatives. From a practical perspective, the Crypto-Ruble is a national bitcoin. Russia wants to subsidize energy for those wanting to mine these "crypto-rubles" (even though energy is already much cheaper in Russia). The country plans on doing this through a kind of regulatory sand-box/incubator to see if it works before scaling. Unlike petro-dollars, "crypto-rubles" connect currency to ANY form of energy, even stolen energy. With this connection, Russia is trying to set up something akin to an energy payout for all residents -- much like the dividend that Alaska pays its people for oil. Ultimately, this is an experiment. "This" refers to the crypto-ruble, not bitcoin. Bitcoin has arrived -- it is its own asset class and there's nothing the central banks/nation states can do about it because it is decentralized by nature. Any country, including Russia, trying to create a national bitcoin will fail. After all, bitcoins that can only be mined by Russians are not bitcoin. Excerpt: We may not be able to say that humanity has been entirely progressive, but we haven’t devolved to the level of Ferengi (yet), and we owe much of this to the progress of women. The differences between men and women are nuanced and many, but we do have a great deal in common — namely our future. If we’re being honest, women have confidence issues, but so do men. The cultural difference is that men tend to disclose a lack of confidence less and embrace risk more.